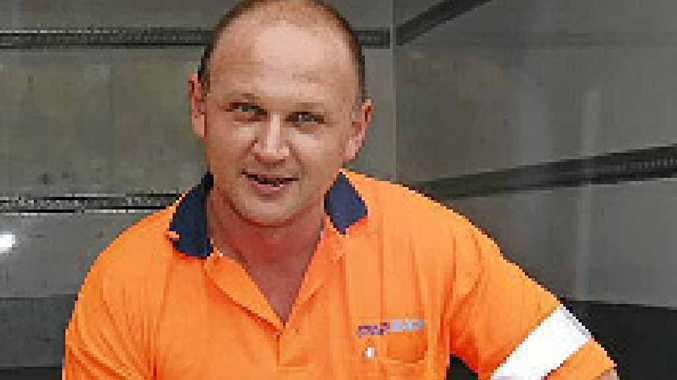 CZECHOSLOVAKIA-born Daniel Barton is now an Aussie truckie who delivers goods around Launceston in the north of Tasmania. The 38-year-old Daniel was driving a 2012 Mitsubishi Fuso for Star Track when we yarned on December 31. "I have been in Australia since I was a boy first going to Adelaide and have been in Tassie since 1987," he said. His New Year's resolution was to give up smoking but he wasn't confident of success. "I have failed that one twice before," he said. Daniel has mastered driving around the one way streets in the Launceston CBD which trick many a newcomer. Off duty Daniel enjoys fishing for flathead and mullet at Beauty Point in the Tamar Valley. The highway he dislikes travelling on is the one to Scottsdale. "It is very steep and winding at places," he lamented.